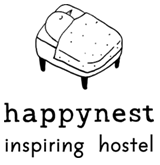 Happynest Inspiring Hostel is founded by 3 high school fellows who are passionate in design and have strong intention to create some sophisticated things in their hometown. Our core value is to maximize guests’ experience during their stay. 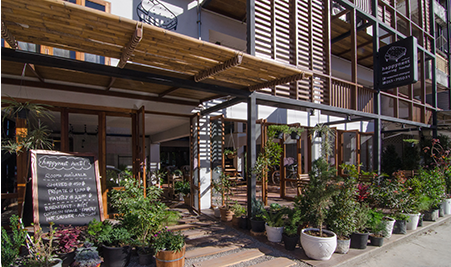 Large and cozy common spaces are the key element to help encouraging conversations and activities among the travellers. Local materials and decorative objects are carefully selected and embodied a spacious architecture with modern yet playful twist, but still retain warm and relaxing atmosphere of traditional Thai home. 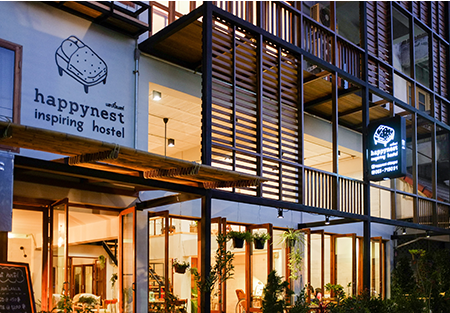 Furthermore, Happynest aims to create a link between around the world travellers and the locals through its in-house activities, such as providing in-depth information or stories of our town, recommending hidden spots, and also its culture-based workshop and excursions. This will allow our guests to experience genuine local lifestyle and that will become one of the best memories during their stay in Chiangrai.